Level Halo. Hug the right wall out of the ship. 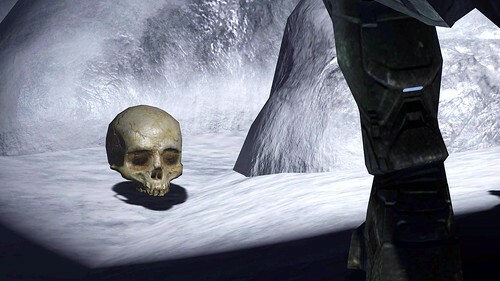 Just in the entrance of the cave, to the right there's a smaller cave that holds this skull.